When the temperature climbs above 80 degrees, you need to keep your cool. You’ve got the air conditioner cranked, but you’re still hot and sweaty in your Connecticut home. 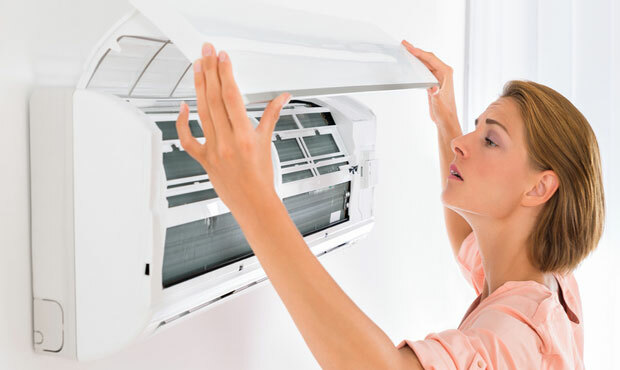 You need relief, and we have a few summer air conditioning tips that will help you not only stay cooler, but also cut back on your energy bills. But wait, there’s more! Taking steps to boost your AC efficiency will also keep it in tip-top shape so you can be sure you’re taking care of your biggest investment. That’s because a tightly sealed home with excess humidity removed from the air will prevent mold growth and provide cleaner indoor air. That way, your home lasts longer and your family breathes easy. Let’s take a look at 7 air conditioning tips and ways to lower your utility bills, save energy, increase comfort and maximize efficiency. Correct sizing is essential to maintaining a comfortable home. If your AC unit is too large, you’ll be wasting energy. If it’s too small, the unit is likely to run near constantly on the hottest days without providing your family with relief from the heat. When it’s time for an upgrade or replacement, make sure your new AC is a good match. A clean air filter leads to happy air conditioners and comfortable homeowners. Dirty filters result in extra work for the unit, and a hot, muggy home for you. Make sure you’re changing your air filters at least once per month–especially during peak cooling season in Connecticut. Keeping your outdoor AC unit in the shade will help lighten its load during the summertime. Because air in the shade is cooler than sun-warmed air, the air conditioner has less work to do to bring it to a comfortable indoor temperature. 4. Shade – Not a Jungle! While shading over the top of your air conditioner is a good thing, crowding it with plants, shrubs, weeds, toys, and other clutter will prevent proper air flow around the unit. Without proper airflow, the AC will have to work harder to draw in enough air to cool your home. A programmable thermostat will help keep your cooling costs in check while still keeping you comfortable during the day. By setting the temp a little higher when you’re sleeping or not at home, you won’t waste money cooling an empty house. Plus, today’s programmable thermostats come equipped with all sorts of cool tech. Some models will learn your routines after a few days–including any change-ups–so you don’t have to fuss with programs. Some are so tricked-out that you can order groceries, listen to the headlines, and get new recipes all while staying cool. Pro tip: keep your thermostat set no lower than 78 degrees in the summer. Every degree below 78 will set you back 8 percent in energy costs. “Close the door! I’m not paying to air condition the entire neighborhood!” said every parent ever. Today’s homeowners take that sage advice to the next level by weatherizing their homes to prevent air loss. Seal air leaks with caulk and weatherstripping and add insulation throughout the home to keep that expensive air inside where it belongs. It’s okay if insulation and energy efficiency aren’t your expertise! That’s what Energy Monster is here for. We’re your go-to source for tips and tricks on saving money and using less energy by making changes around the home–both big and small. And here’s the top of all the summer air conditioning tips. If it’s time to replace your AC, a new ductless mini-split system offers optimal efficiency and maximum comfort. No ductwork is necessary and the indoor units can be placed virtually anywhere so they’re perfect for almost every home. Plus, federal tax credits are available to offset the cost. Before you get started, schedule a Home Energy Assessment from Energy Monster. We’ll not only seal up your home from air leaks and provide recommendations for insulation, but you’ll also receive energy-efficient light bulbs and water-saving products too. Our experts will also help you choose an AC system that’s just right for your home and budget and screen for any rebates and tax credits you may qualify for. 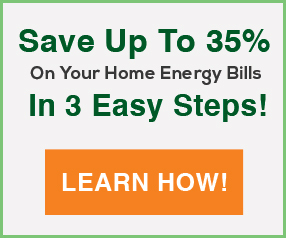 Get started with a Home Energy Assessment from Energy Monster today!